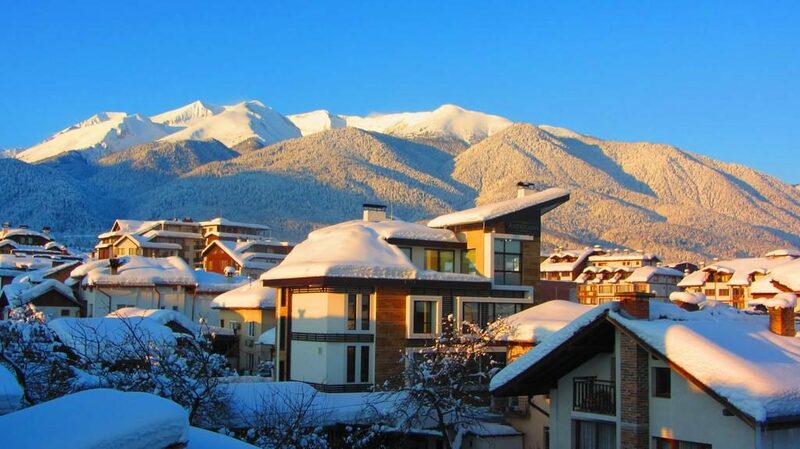 Bansko is a town in south-western Bulgaria, located at the foot of the Pirin Mountains, 927 meters above sea level. It is a popular ski resort to all Europe. 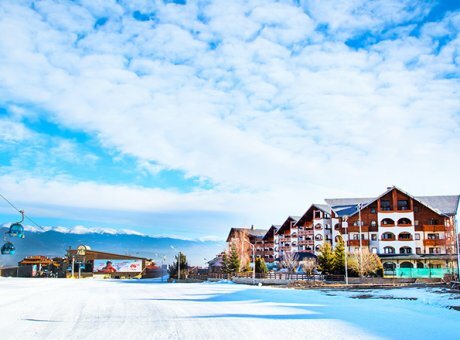 Bansko, has become an up growing international centre for winter and summer tourism. The mountain edges near the town, the fascinating lakes and the old pine woods make it a popular site for relaxation. Bulgaria plays a major role in European tourism and is steadily rising. Bansko progressively competes with resorts in France and Switzerland due to the really comparative lower costs, but not in quality. Improvements to the organizational structures and facilities of the ski area on Todorka are being made annually to accommodate the increasing number of tourists. A gondola lift replaced the minibus ride to the primary base area of Banderishka Poliana. Since 2010, the ski area has 75 km of ski and snowboard runs, 14 lifts and drags, that serve up to 24.500 people hourly. The nearby village of Banya, only 5 km from the town, is known for its 27 thermal mineral springs. People prefer to rest in the springs after skiing for hours in the slopes of Pirin mountain. There are bus connections available to take tourists to most cities in Bulgaria, like Sofia, Plovdiv, Blagoevgrad, Gotse Delchev, Razlog, among others. Tourists can also find travel agencies to go on daily tours all around, by snowmobiles. The location is ideal for special exploration and sport activities. Because of the economy crisis, many of the substructure problems have not been given much attention since 2009. However, the large portion of unfinished apartments, due to the global recovery and the more realistic pricing, are eventually attracting more buyers from all over Europe. Bansko offers accommodation and comforts for every budget. You can choose among apartments of 2-12 people, hotel rooms and bungalows. In the hotels you will find facilities such as swimming pools, spa, beauty and massage boutique… and all at really affordable prices for everyone. All within walking distance of the city centre and the gondola. 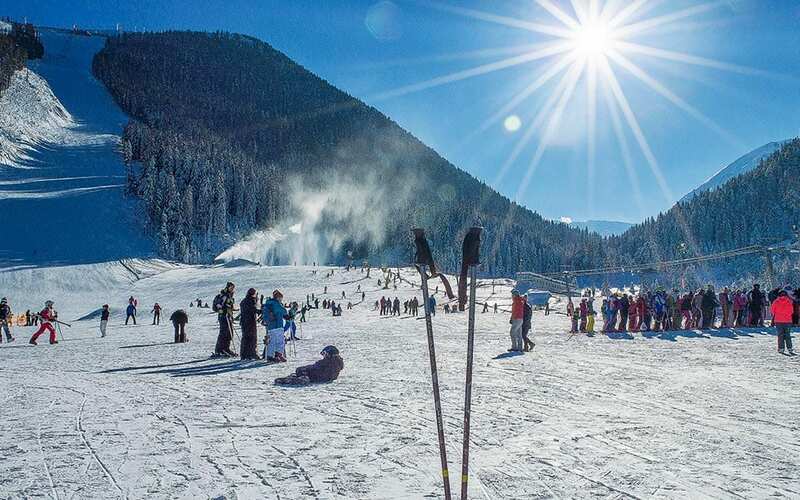 Bansko is the most affordable winter and summer travel destination, as it combines the best prices, the best hotels and the best vacations ever!